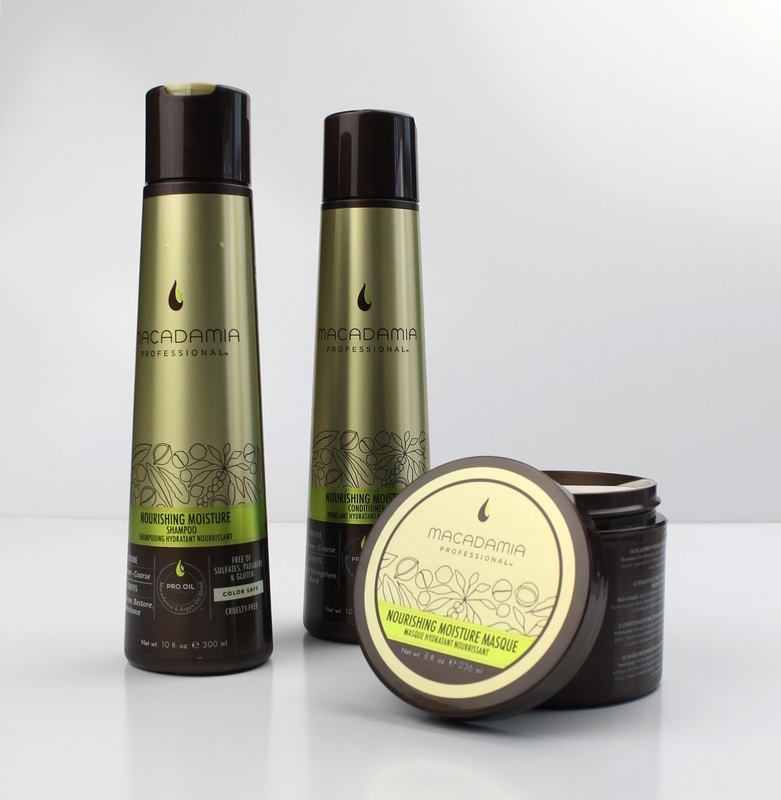 I recently tried out some Macadamia Professional styling products and absolutely loved them (review here). Considering how amazing they were I was really excited to try out the new range of haircare products which are tailored to the three main hair textures; fine, normal and thick. They provide great moisture while also not weighing down fine hair or letting thick and coarse hair turn into a fizzy mess. My hair is fairly normal and manageable so I went for the Nourishing Moisture range for "medium to coarse hair". I wanted to give these are really good try because it takes some time to really test out haircare products and after a month I am happy to report that they are just as amazing as the styling products. I used the Nourishing Moisture Shampoo and Conditioner ($32.95 each) and the Nourishing Moisture Masque ($43.95). While they are definitely on the higher end of haircare, they are a professional quality range that I believe is completely worth the price. I used to use Redken which is only slightly less expensive than this range but I liked the Macadamia Professional products a lot better. They left my hair so moisturised and soft but didn't weigh it down at all. I was able to get tons of volume when styling my hair and it didn't leave my hair prematurely greasy or oily like some high moisture products do. It is also worth nothing that these smell flipping amazing too! It took the longest time for me to pick it but I finally figured out that they smell just like Arnott's Monte Carlo biscuits. I know, I'm weird! Who wouldn't want their hair to smell like delicious biscuits? Crazy people, that's who! The Nourishing Moisture Masque ($43.95) is an absolute standout as well! I thought the normal conditioner did an amazing job all on its own and then I tried this masque and... wow! You know how you can tell the second you rinse out a hair mask if it is good or not? It either feels a bit heavy and greasy or like absolute silk, even before you dry it. This definitely produced the latter! When I blow dried my hair afterwards (with my Macadamia Professional Blow Dry Lotion of course) my hair was the softest, healthiest and shiniest I can ever remember it being. If you are looking for a high end mask for dry to normal hair look no further. It truly is truly lovely and (I can't believe I'm saying this) beats my Redken All Soft Heavy Cream which has been my holy grail for years. So long story short, Macadamia Professional has really solidified its status as my favourite hair brand! Even though I have a ton of other haircare to try out for you guys I seriously couldn't bring myself to stop using it to try the others. There is just no way they are going to be as good! It's a real pity that people don't know about this brand as much as the bigger ones like Redken, Keratese, Morrocan Oil, etc because they are on par, if not better! I did receive these as promotional samples but I will most certainly be repurchasing with my own money without hesitation. I was also really happy to find out that they make 1L bottles which are way better value (about 8 cents per millilitre vs 11 cents for the smaller bottles). I cannot stress to you enough that if you are a total addict for beautiful, high end haircare, you need to try this brand.